This summer, you will have the opportunity to learn how to get your tongue around yodelling - in the breath-taking natural scenery of the UNESCO World Heritage region of Hallstatt Dachstein Salzkammergut in the heart of Austria. A weekend full of sound, surrounded by the beautiful nature of the Dachstein Mountains. On the Gjaidam, at almost 2000 meters above sea level. In this imposing area, you will be able to enjoy authentic yodelling alone, as a couple, with friends or with your family - a sung, textless tone sequence with register changes (rollover) between the chest and the head voices. Fun and well-being are top priorities within the yodelling workshops. Register now. 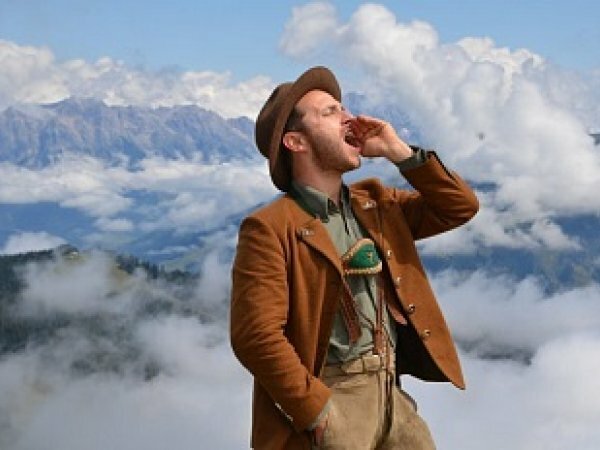 For all those who fancy how to learn yodelling, in the impressive natural and cultural landscape of the Dachstein, we urge you to register as soon as possible as the number of participants is limited due to organisational reasons. You can find the contact for registration under "Information at a glance" below. We wish you an unforgettable weekend on the Gjaidalm in the Dachstein hiking world in the Salzkammergut.